Very close to the Loira river, and along its course through Orléans, in a charming setting, one can find the Empreinte Boutique Hotel, an elegant hotel accommodation where interior design plays an important role in the guest’s experience. The excellent Jacques Loiseau architecture studio is the one in charge of a restoration project concerning a historical 19th-century building turned into an exclusive 4-star hotel, where the architect has opted for the quality of the materials for the bathroom design from the PORCELANOSA Grupo. The hotel, with its spotless appearance, neutral colours-covered and round shapes, is full of items searching for the black contrast in pieces of furniture, headboards, ceilings or ancient building elements, by outlining prospects and expression lines in the interiors. 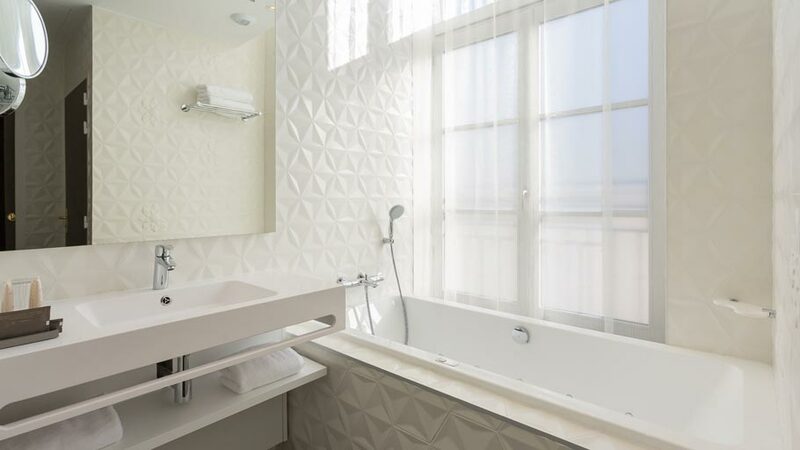 Therefore, the bathrooms in the 33 rooms and suites that the Empreinte Hotel has, are spaces which have been designed with peace and quiet in mind, with the guarantee of unique equipment regarding both design and high quality. Brightness is the key to defining the setting up of the atmosphere’s relaxing character. 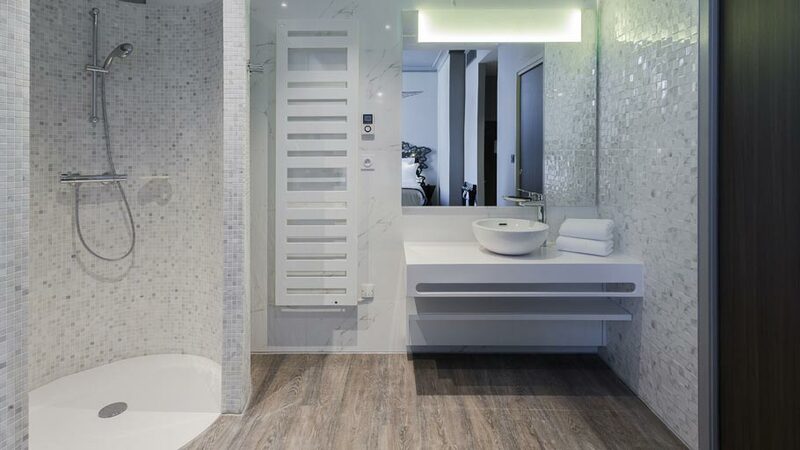 Hence, the elements installed in the bathrooms’ design make the most of the colour white as well as the gloss. 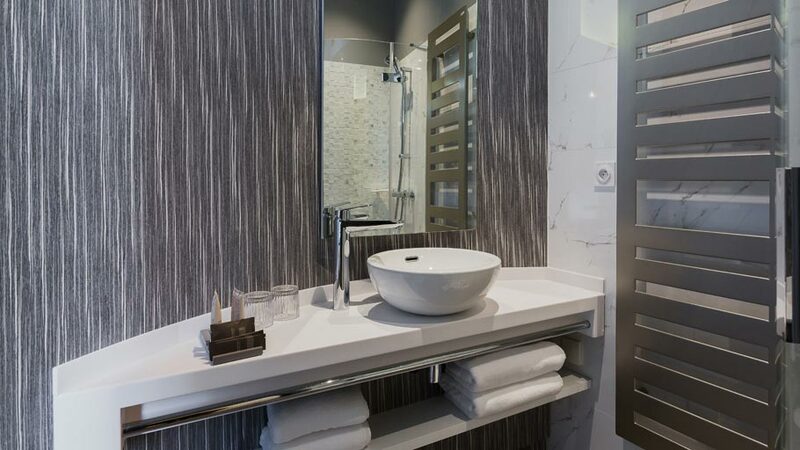 Ceramic wall tiles in a gloss white finish, such as the Carrara blanco model, have been combined on walls in its mosaic version, the same colour as well, which reproduces the excellence of this natural stone. These are completed with the Oxon White wall tiles model, which is highlighted by its simplicity and sets a counterpoint thanks to its matte finish. With regard to floor tiles, the Thais Grey Nature through-body porcelain by Urbatek, and because of a subtle grey-stone effect, this is the one providing the floor space with both distinction and solidity. 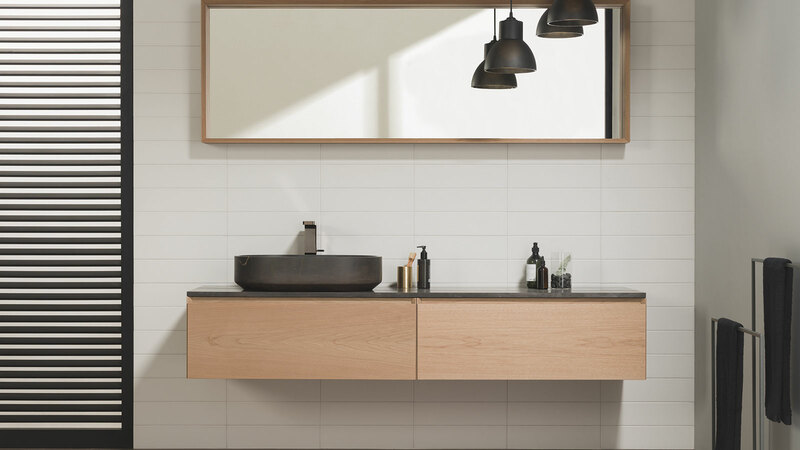 In order to support that feeling, light colours play with the rounded shapes through the bathroom equipment of wall-hung and freestanding items. 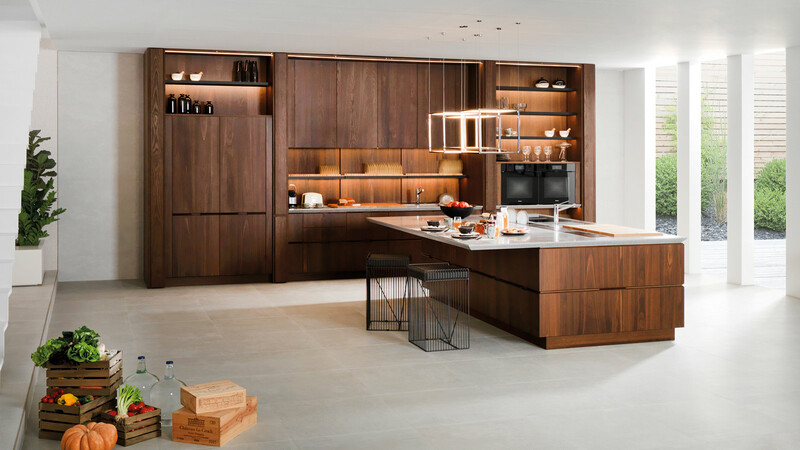 The basins which have been chosen are those by Noken, and to be precise, those models of the Forma series in countertop finish, and those of the Lounge series in its floor-standing version. 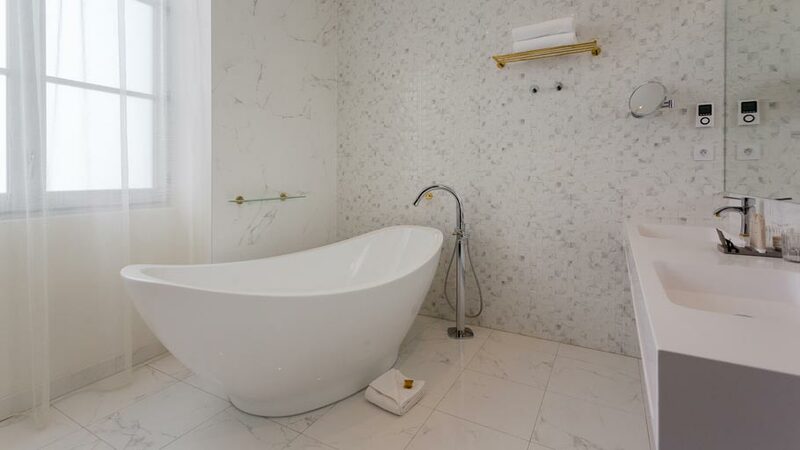 On the other hand, the area with the highest comfort is fitted both with the Koan freestanding bathtub, which provides the set with a seductive play of curves, and the built-in bathtub with the Minimal XL whirlkit. For a greater use of the light, the choice has been the installation of the Inter model shower screens by Systempool. 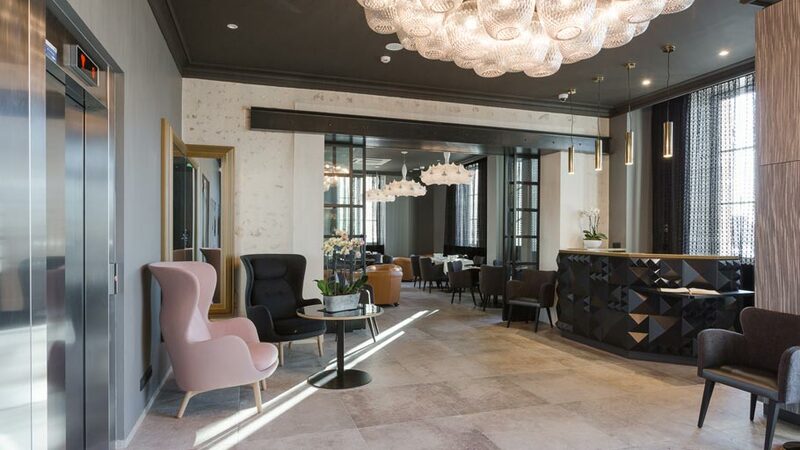 The result obtained is the decision to opt for an elegant modern style, whereby the hotel offers a harmonious, audacious and a highly avant-garde atmosphere.